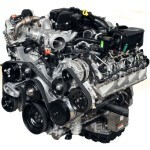 The 6.7L Power Stroke is an internally developed Ford diesel engine. This engine employs an advanced high pressure fuel system, including 30,000 psi rail pressure and Piezo fuel injectors, along with dual boost variable geometry turbo to provide plenty of torque at low engine speeds and a lot of power. 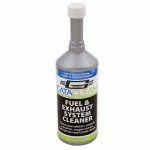 The 6.7L Power Stroke also uses SCR technology to meet the increasingly stringent NOx emissions standards, which means customers will be required to add Diesel Exhaust Fluid during the life of the truck. This is now common for basically all diesel trucks built after 2010, so customers can expect the same for all OEMs. 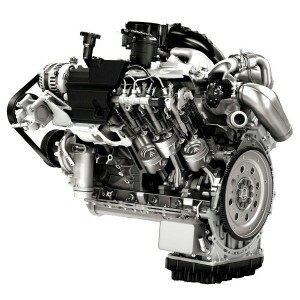 Customers can purchase the 6.7L engine in F250, F350, and F450 various models. For many years, Ford had co-developed the 6.0 and 7.3 Powerstroke with International, but in 2010 Ford introduced its own diesel engine. This engine also has the nickname of Scorpion, which was given based on its unique configuration where the turbocharger is actually in the valley of this V8 engine. There are many advantages to creating the engine internally, such as creating it specific for customer needs and being able to pay yourself instead of another company for development, but there are also risks as more responsibility was taken. It appears that Ford was ready for the challenge as this engine is a very strong performer. This engine is still currently in production, although gradual improvements along the way have been made. The 6.7L Powerstroke recently jumped its horsepower rating in 2015 from 400 to 440 horsepower. During the initial launch in 2010, the engine was first offered with 390 horsepower, which was then bumped up to 400 horsepower during the 3rd quarter of the same year. This could have been due to some needed validation to be completed could have simply been the result of a marketing scheme going back and forth between Ford and GM. The 2015 model of the powerstroke reaches an impressive 860 lb-ft of at 1600 RPM. 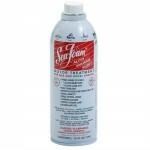 The cylinders have a bore of 3.9 inches, to go with a stroke of 4.25 inches. As given by the name, this engine has a volume of 6.7 L, or 409 cubic inches as is more common among by traditional dimensions in the USA. 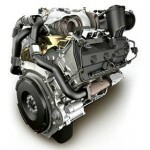 The 6.7L Powerstroke engine uses a compacted graphite iron (CGI) block. CGI is gaining popularity for use in diesel engines due to its increased strength and lighter weight in comparison to more traditional cast iron blocks. CGI is a material first used commercially for the brake discs on high-speed trains. The head is aluminum for weight reduction purposes, which is a constant goal for engine designers. 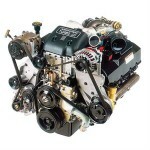 The valvetrain has 2 intake and 2 exhaust overhead valves (OHV) per cylinder. This engine uses a traditional pushrod strategy with the camshaft located in the block. Ford’s self-created engine had a lot of people skeptical with initial introduction, as people are always skeptical with the introduction of such a radically different engine. Some of the features, such as the turbocharger in the engine valley and the use of CGI block are truly pushing the limits as diesel technology continues to progress by leaps and bounds. The fuel injection system described is also a major change and allows significant performance improvements to the stereotypical “dirty diesel.” The 6.7L Powerstroke has been a very successful engine and raised the bar for competitors in the light and medium duty truck market. 11-16 Ford 6.7L DIESEL HAMILTON CAMS CAMSHAFT. Ford F250 F350 F450 6.7L Powerstroke Diesel OEM Turbo 83k Miles ! 11-12 Ford 6.7L DIESEL CARRILLO PRO-H CONNECTING ROD SET (WITH H-11 BOLTS). 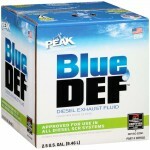 11-15 Ford 6.7L DIESEL DORMAN EGR COOLER KIT. 11-16 Ford 6.7L DIESEL ARP FLYWHEEL BOLT KIT.